Wassailing is an ancient West Country tradition to scare evil spirits away from orchards to ensure a bountiful autumn harvest. The region has produced the best cider for centuries, so it seems wassailing really works. The exact ritual varies from area to area, but at the heart of the ceremony are usually a king and queen who lead a singing procession to the orchard, where the queen is lifted into the branches of a tree to offer cider-soaked toast to the good tree spirits. Chaos subsequently ensues as everyone bangs pots and pans to scare away evil spirits and a volley of guns is fired up through the branches. A healthy session of merry making ensues, lubricated by generous sampling of the latest batch of cider. A Somerset folktale tells of the Apple Tree Man, the oldest spirit and responsible for the orchard’s fertility, who revealed buried treasure to a man who offered him his last mug of mulled cider. So head west to join us in paying homage to the spirits of the orchard – you may be richly rewarded, and at the very least you’ll be part of a wonderful ancient tradition. Waes’hal, Wassail all over the town! Join the traditional blessing of the Sandford Orchards from 6pm in the village square, where the morris men will dance and the wassail king and queen will be found. Move on then to the orchard for the ancient ceremony and a mummers’ play performed by the bonfire. When the embers die down, the village inn will warm everyone up with a good old fashioned knees-up. Stay nearby at West Henstill House. Rich’s Cider Farm hosts its annual wassailing from 7pm to midnight. This traditional Somerset frolic will be serenaded by live bands, with proceeds going to local charities. Stay nearby at Compton House. A new orchard was recently planted in this old Exmoor village and so the wassailing tradition, which died out in the 1950s, has been revived with enthusiasm. The event starts in the morning when children hang toast soaked in apple juice from trees to attract benevolent spirits and permission to make excessive noise with drums and tins is embraced with delight. In the evening, adults gather around campfires to be entertained by musicians and storytellers and be sustained with cider and cake until the guns are fired. When the evil spirits have been driven off, a torchlit procession winds merrily through the streets to a warm welcome and further carousing at the local inn. A vibrant and famous wassail centred around the village orchard, where evil spirits will be defeated by merry making by morris dancers, mummers players and wassail singers who will lead the crowd in rousing melodies. 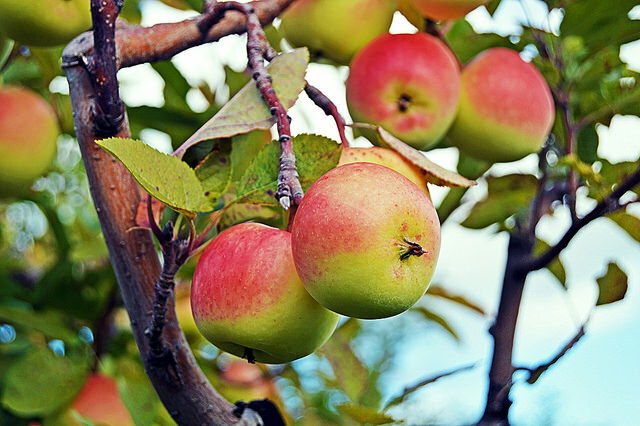 With storytelling, live music, delicious West Country toffee apples, cider, ale and a mulled scrumpy bar, the apple blessing ceremony looks set to result in a bumper blossom display in the spring. The farming family who produce award-winning cider at Wilkins Cider Farm warn everyone to wrap up warm and forget their high heels when coming to bless their productive orchards. Tickets can be bought on the door from 7.30pm, which provides you with rousing ceilidh music, snacks and all the cider you can drink (whilst vertical). The famous wassail hot mulled cider will keep you glowing, though Wessex Purchase is kept dry until he’s fired the antique flintlock musket unto the trees (only loaded with black powder, but likely to frighten more than just evil spirits).